This book looks at the financial sector — a mysterious part of the global economy that has grown to overshadow other economic sectors, such as manufacturing and agriculture, since the 1980s. This book looks at the financial sector — a mysterious part of the global economy that has grown to overshadow other economic sectors, such as manufacturing and agriculture. Since the 1980s, neoliberal economic policies have supported the rise and dominance of finance. The concentration of wealth in a virtually unregulated financial sector has contributed to instability and inequality in the U.S., as well as the world. 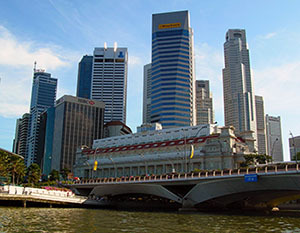 A study of the financial sector within the global economy will not be an easy task. Many of the concepts and terms may be new to you. 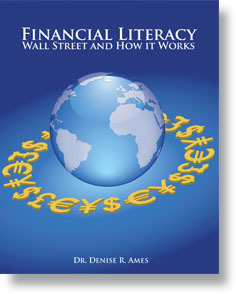 But I have designed this book to be an understandable examination of the inner workings of the financial sector today. When I first began to research the financial sector, it appeared to be covered in a veneer of mistaken assumptions or by an intractable worldview that everyone accepts as reality. But once I started to peel away the layers, I was surprised to find that the reality of the financial sector was quite different from commonly held assumptions. For example, it is hard for us to comprehend that the financial sector is not intent on creating value or adding to the betterment of the economy; instead, it is intent on making a profit, which is quite different from adding economic value. 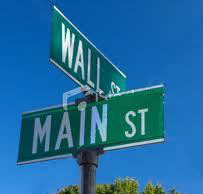 Indeed, there is a yawning divide between the real economy of Main Street and the momentary economy of Wall Street. MI have found in my research that many books concentrate on what is wrong with the system or the disastrous financial crisis of 2008, but they fail to give us a firm grasp of why this turmoil all started in the first place. Blaming it all on greedy bankers or clueless homeowners doesn�t get to the roots of the issue. This book will give you a better understanding of how finance is organized and who benefits. With this better understanding we will be better equipped to critique the financial sector, see its fault lines, and propose workable solutions. So please join with me in peeling back the layers and exposing the inner workings of the financial sector, an important and influential part of the global economy. I hope you will find this holistic approach to the financial sector a journey that is both challenging and worthwhile.